Beauty and the beast has to be one of my favourite Disney films. The songs, the story and the fun. Therefore, it was inevitable that I would take my children to see the classic tale performed by Everyman Theatre as soon as I heard about the performance taking place. It has to be said that Emma-Jayne Parker the Director and Choreographer did an absolutely superb job in bringing this play together. We all know how awful the weather has been this week and the performance is held outside. 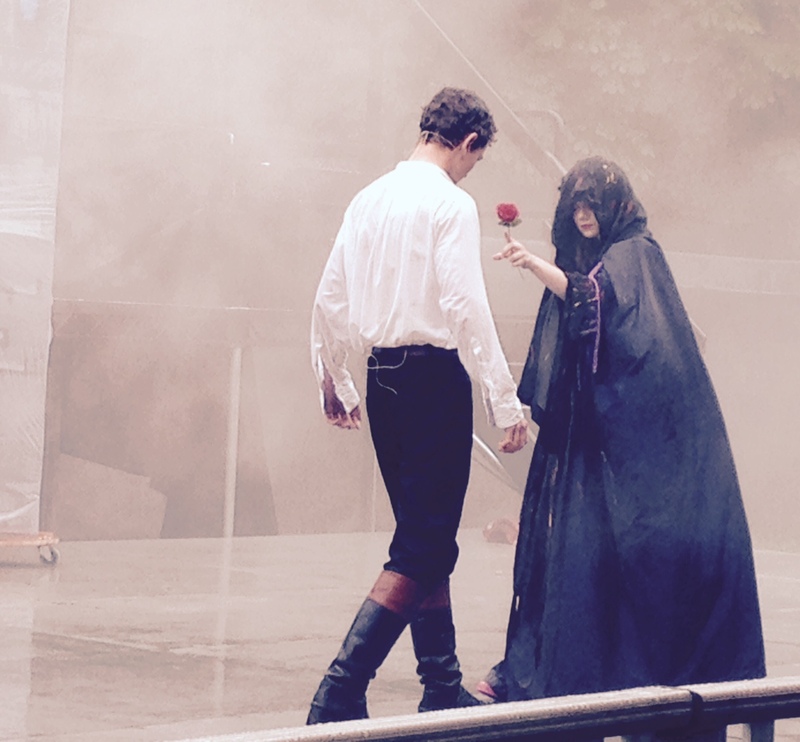 Luckily, the audience were under cover and comfortable but the poor cast were completely exposed to the pouring rain. Although it rained for most of the show, it thankfully did not hinder the performance at all. The actors were true professionals and carried on regardless. There was a small seating area in the beautiful surroundings of Sophia Gardens, which made the experience that much more intimate. The characters frequently came close to the audience which made us feel very much part of the play. I wasn’t sure if my 4 year girl, would be too young to appreciate it but she absolutely loved every minute and my 7 year old boy did too. The songs were every bit the same as the film and a joy to sing along to. I have to mention the actors as they were all fantastic. 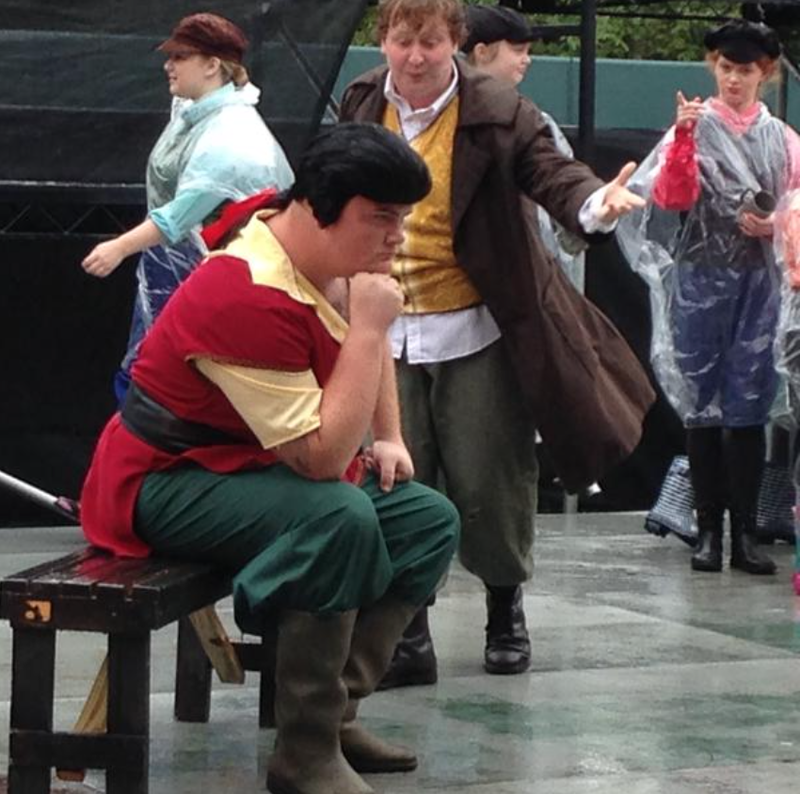 Gaston played by Ross Broad was extremely funny and portrayed the egotistical character exquisitely. Not to mention his trusted sidekick Lefou, played by Ethan Price. Belle’s character was performed by Charlotte Tonge, she was outstanding portraying the brainy and beautiful character she was. She lit up the stage with her magical presence. We were so impressed that I personally thought her voice was better than the Disney film itself. I might be sticking my neck on the line here, but I honestly believe that this live performance was better as a whole package than watching the film. Move over, Paige O’Hara! 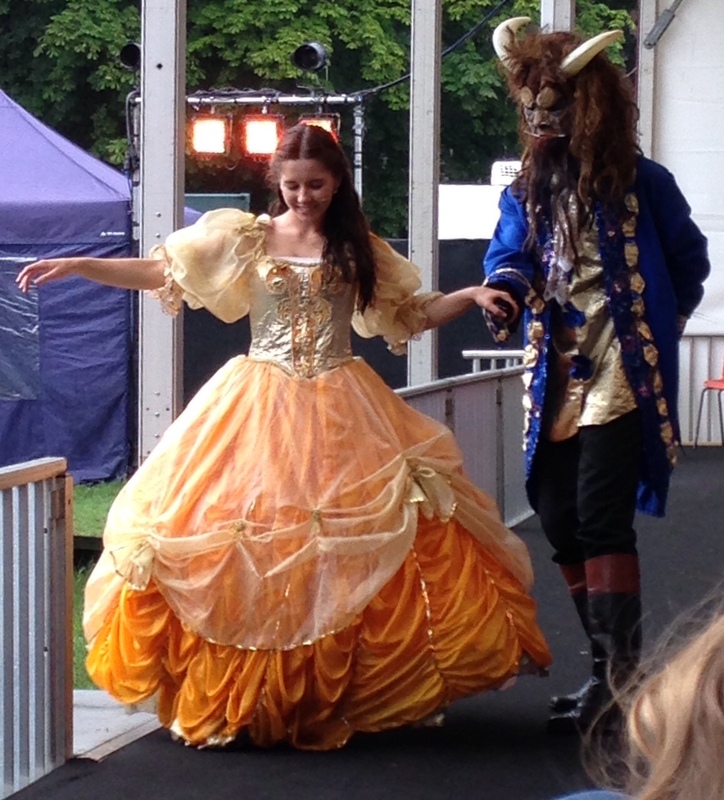 The Costume for the beast was ever so realistic and the actor Ben Joseph really got in character playing the angry menacing beast and yet changing into the loveable gentle beast he became as the show went on. My son jumped a few times when the beast shouted, which shows his commitment to the character. I thought he was brilliant. The dancing cutlery, singing furniture and menacing wolves filled the stage drama for the entire 60 minutes. I particularly loved the costumes and the parts played by Maurice, Belle’s father, Lumiere, Babette, Mrs Potts, Chip, Mme De La Grand Bouche, Cogsworth and Monsieur D’Arque. It seems unfair to miss anyone out really as they all worked together to bring a brilliant performance with very little props. Okay, so Im a softy. I did shed a tear at the end I must admit. If I had to sum up the show as a whole in three words it would be: outstanding, professional and fun. There were no breaks in between parts and to be honest it didn’t need one as the show lasted an hour. I have seen several children’s plays over the last year and this has to be my favourite. Every single person gave 100%. As an added treat, even though they had been in the rain for an hour, several of the actors gave their audience the opportunity to have a picture taken with their favourite disney characters after the show had finished. I take my hat off to them. I sincerely hope that they come back next year. This is one show not to miss, I promise. Unfortunately, the weekend performances have sold out but there’s still two shows on at 12pm and 2pm everyday this week. Go for it.